Sarah from The Little Hedgehog blog (cute name and header, no?) is hosting a Belvedere Designs giveaway on her blog this week. 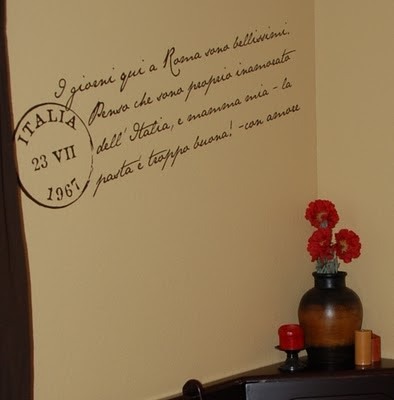 We love how she used a foreign language wall quote to customize the breakfast nook in her Tuscan-themed kitchen. The slant of the quote is such a nice touch and the Chocolate color is such a nice rich compliment to the curtains and dark wood stain - see her blog for more photos. She also has great step-by-step application photos (thanks to her husband) of the entire process. 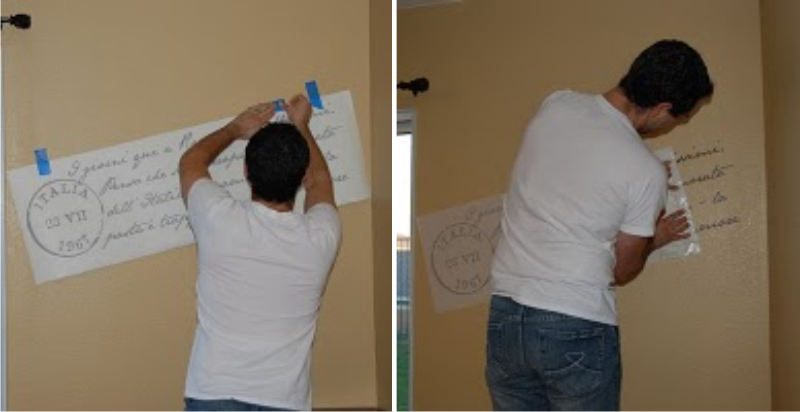 We have wall quote application photo tutorials too, but it's always helpful to have another point of view and Sarah is very thorough. So hop on over, have a look and enter to win. Best of luck!